This quick review was provided by Katie, is allergic to peanuts and tree nuts. I had an awesome experience here! 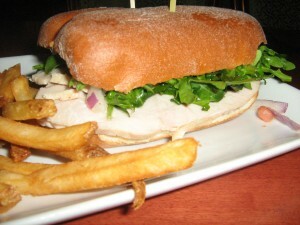 I went for the quick service lunch, and ordered the carved turkey sandwich. I ensured that the cast member was aware of my allergies, as you should as well, should you dine here, as the food may come out before you meet the server, which is what happened to me. I also had ordered a masters cupcake. A leader and the server brought out my food, and the only difference in the food from the non allergy food was the cupcake didn’t have the pearl type decorations on top, and the sandwich wasn’t served on the baguette. Instead of the baguette I got two sandwiches on a different bread. 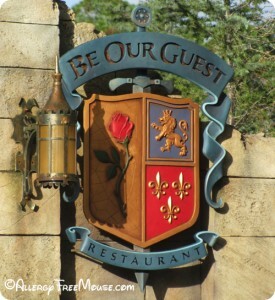 I was very excited to dine at Be Our Guest, as this restaurant wasn’t open yet when I was last in Disney. Unfortunately, due to my allergies, I was too scared about eating at a QS restaurant so I opted to dine here for dinner early one evening. The chef came out, per my request, and went over my options. For appetizer, I decided on the onion soup without cheese or croutons (Chef seemed somewhat unsure, so I just opted out). It was very delicious! It reminded me of the onion soup I used to eat back in the day, pre-allergy. For dinner, I opted for the skirt steak with roasted fingerling potatoes. It was very delicious and flavorful! Unfortunately, my dessert options were limited to sorbet, enjoy life cookies (just the boring chocolate chip ones), and rice dream. I wasn’t too fond of any of the options, so I took the cookies for the go. Overall, it was a very delicious meal and I most certainly will be back! We had a great experience here. I was really nervous before hand because of all the bad reviews I had read on line, however, we enjoyed our food and the whole experience. We had a 5 PM reservation and were seated on-time. The waitress brought out the allergy menus and told me if I ordered directly from the menu with no alterations I would not need to speak with a chef…I told her I preferred to speak with one anyway and she was very obliging. She even said, she didn’t blame me and she would want to speak with one as well. This quick review was provided by Amanda, who is allergic to dairy, soy, gluten, and tree nuts. We went to Be Our Guest on the last night of a 2 week trip, and it was the absolute best food allergy experience I had anywhere on Disney property. I am allergic to dairy, gluten, soy, and tree nuts, and Chef Jerry was beyond accommodating. He started by asking me what I WANTED, rather than what would be easiest to make allergen free. He went on to explain that he himself has a dairy allergy, and the intense amount of food allergy training he continually receives. He knew exactly which items contained allergens off the top of his head (for example, the only product in the entire restaurant that may have come in contact with nuts is the pearls on top of the cupcakes). Chef Jerry made me gluten free rolls with olive oil, followed by the braised pork with roasted potatoes (the pureed cauliflower contained allergens) and asparagus, and raspberry sorbet for dessert. Everything was absolutely delicious, and Jerry checked on me several times throughout the meal. I would absolutely recommend Be Our Guest to anyone with any kind of food allergy. Thanks Chef Jerry! My husband and I ate here for lunch and liked it so much we came again for lunch two days later. It is very easy to dine here with dietary restrictions. You either order via touchscreen or you place your order with a cast member (we ended up ordering both ways). If you are using a touchscreen, there is a place where you can indicate any allergies, and the menu updates to display what your options are. There were a surprising number of gluten-free options. If you don’t have a magic band (we did) you are given a rose to place on your table so that the cast members know where to deliver your food. The dining areas of the restaurant are absolutely beautiful. We ate for the first time in the west wing, and the second time in the main ballroom. Both rooms were very detailed in their theming. The first time we ate here, I ordered the roast beef sandwich. It came on what I’m pretty sure was an Udi’s hot dog bun. The bun was a little dry, but the roast beef was tender and went well with the horseradish sauce and arugula. The french fries were also made in a designated fryer and thus safe to eat. 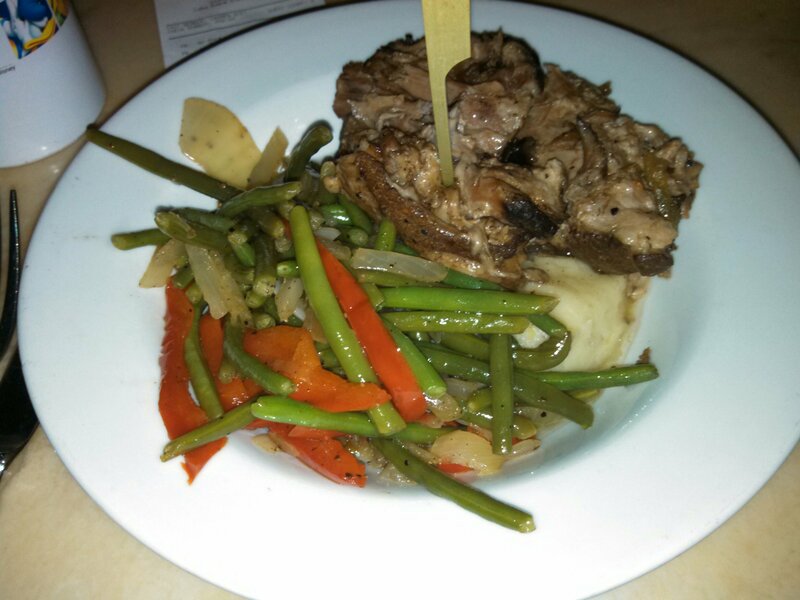 The second time we ate here, I had the braised pork with green beans and mashed potatoes. It was the best meal I had at any quick-service restaurant, and had the quality of a table-service restaurant. The green beans had a wonderful texture and were well seasoned and cooked with onions and bell peppers, the mashed potatoes were wonderfully creamy and seemed to be made fresh, rather than from mashed potato flakes. The pork was well-seasoned and just melted in your mouth. I will be ordering it every time I eat here in the future. There is only one gluten-free option for dessert: a lemon-raspberry cream puff. It is very good, with a smooth and tart lemon curd filling, some whipped cream, a fresh raspberry, and a small square of chocolate with “Be our Guest” written on it in gold. I loved every part of eating here from the ambiance to the food, and we will definitely eat here again. This quick review was provided by Darrin, whose son is allergic to Dairy, Peanuts, Tree Nuts. My son is allergic to dairy, peanuts and tree nuts, and depending on his mood, Disney princesses. Needless to say, our dinner at Be Our Guest restaurant was more for our two daughters than our son. But in the end, he became a fan of this restaurant. As usual, the chef came out and discussed our allergies and told us what she could make for our son. He had the grilled steak with brown rice and seasonal vegetables. The chef also gave him a bowl of plain macaroni with marinara sauce on the side. It was so good that he finished everything on his plate and also half of his sister’s (all the kids get the same so there is no arguing). 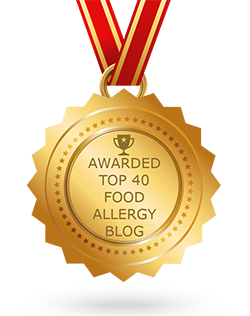 Be Our Guest delivered on the high standards for food allergies that we now expect with the Disney brand. But it’s the little things that make my son smile. The bread that they serve before dinner is dairy and nut free. But the thing that topped it all was that they had Earth Balance non-dairy butter for him. It may sound trivial, but being able to eat bread with the rest of the family made his day. Our daughter says Be Our Guest is her favorite, mostly because she can eat the bread with us, too. 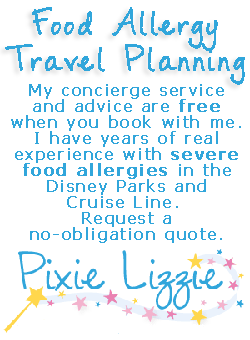 If you would like to review Hollywood & Vine or any Disney restaurant, submit a food allergy dining Quick Review.